When it comes to meal planning, do you find yourself deciding between healthy foods and quick options? Do you stare at the contents of your fridge, wondering what you can easily throw together? Even on a busy schedule, your meals can be simple, healthy, and delicious! You shouldn’t have to sacrifice health or taste for efficiency in the kitchen. Nobody knows this better than Chef Del Sroufe, author of the New York Times bestseller Forks Over Knives—The Cookbook and Better Than Vegan. 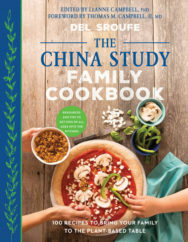 In The China Study Quick & Easy Cookbook, Sroufe takes kitchen time management to the next level and provides busy home cooks with menu plans, pantry lists, and more than 100 delicious plant-based recipes that are quick, easy, and multipurpose. 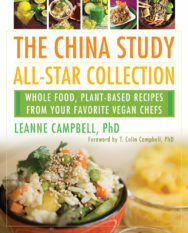 The China Study and the China Study cookbooks have helped transform your health. 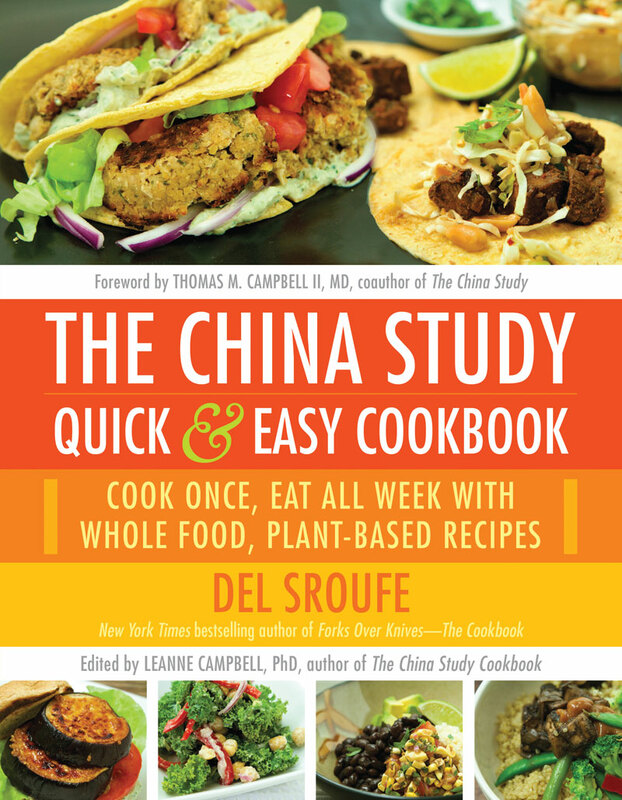 Now, with a foreword by The China Study coauthor Thomas Campbell, The China Study Quick & Easy Cookbook is the next step in transforming your kitchen, your time, and your life. Del Sroufe‘s passion for cooking began at eight years old and never faded. In 1989 he went to work for one of Columbus’ premier vegetarian restaurants, the King Avenue Coffeehouse, where he honed his craft as a baker and chef. Sroufe opened Del’s Bread, a vegan bakery, before beginning vegan meal delivery service in 2001, serving eclectic plant-based cuisine to Columbus residents. During this time, he developed what became a very popular cooking class series, sharing many of the delicious recipes he had created over the years. In 2006, Sroufe joined Wellness Forum Foods as co-owner and chef, where he continued the tradition of delivering great tasting, plant-based meals to clients in Columbus as well as throughout the continental US. Sroufe also joined The Wellness Forum as a member where, after a lifetime of yo-yo dieting, he has lost over 200 pounds on a low fat, plant-based diet. He continues to teach cooking classes at local venues like Whole Foods, Community Recreation Centers, and The Wellness Forum. Sroufe is the author of The China Study: Quick & Easy Cookbook, The China Study Family Cookbook, Better Than Vegan, and Forks Over Knives—The Cookbook, a vegan cookbook companion to the acclaimed documentary Forks Over Knives.